With the addition of Valeri Nichushkin and the return of Greg Rallo to health, Branden Troock has become the odd man out and is heading to Idaho for some time with the Steelheads. 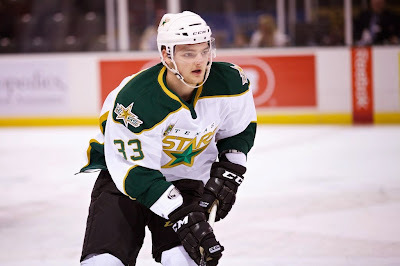 The Texas Stars, American Hockey League affiliate of the NHL’s Dallas Stars, announced today they have assigned forward Branden Troock to their ECHL affiliate, the Idaho Steelheads. Troock, 20, has appeared in four games this season for the Stars with an assist. The 6-foot-2, 215-pound forward made his debut last season for the Stars appearing in one regular season and one playoff game for the club. The Stars are currently on the road to face Lake Erie in a pair of games this weekend tonight and Saturday.